During this tour you will be able to sightsee the beautiful Beijing for one full day, including the Cloisonne, Great Wall, Chinese lunch. We will visit Huangshan and Shanghai, as well as bicycle through the Yellow Mountain (50-65 miles total). Day 2: Beijing. Arrive Beijing. Check in to your hotel. Walking tour of local neighborhood. Dinner in local restaurant. Day 3: Beijing - Full day sightseeing. Cloisonne, Great Wall, Chinese lunch, Visit a local village in the afternoon, dinner. Evening enjoy the fantastic Kung Fu Show. Day 4: Beijing - Full day sightseeing. AM: Visit the Olympic Site, The Summer Palace and the famed Pearl Market. Lunch. Afternoon visit the Herbal Pharmacy, enjoy a Foot Massage. Evening dine on the famed Peking Duck. Day 5: Beijing - on bicycle (15-20 miles). AM: From your hotel, your guide will lead you to such places as The Bell Tower, the Railway Station, and the Yuan Dynasty City Wall. Lunch at an Ethnic restaurant with entertainment. Afternoon visit Tian’anmen Square and vicinity. Day 6: Beijing/Huangshan(Yellow Mountain). AM: Fly to Huangshan. Balance of day at leisure. Day 7: Hiangshan - on bicycle (20-25 miles). Today we bicycle through the Yellow Mountain area visiting Woodcarving Village and Nanping Village. Lunch at a farmer’s home. 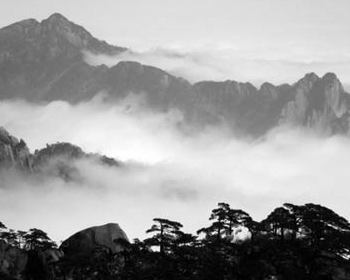 Day 8: Huangshan. Morning cable car ride up the mountain. Overnight uphill. Day 9: Huangshan / Shanghai. Afternoon cable car down the mountain. Fly to Shanghai. Day 10: Shanghai. Full day sightseeing including a stroll down the Bund, a visit to People’s Square and the world famous Shanghai Museum. Lunch. Afternoon visit to Nanjing Road. Night cruise on the Huangpu River. Day 11: Shanghai - on bicycle (15-20 miles). Visit old and new Shanghai by bicycle. Day 12: En route. (Please allow for some spontaneity in schedule). Can also be arranged during Olympics (rates vary).